Vintage Real Photo Photograph Photographic Old Postcard. Worcestershire, Zoo Animals. 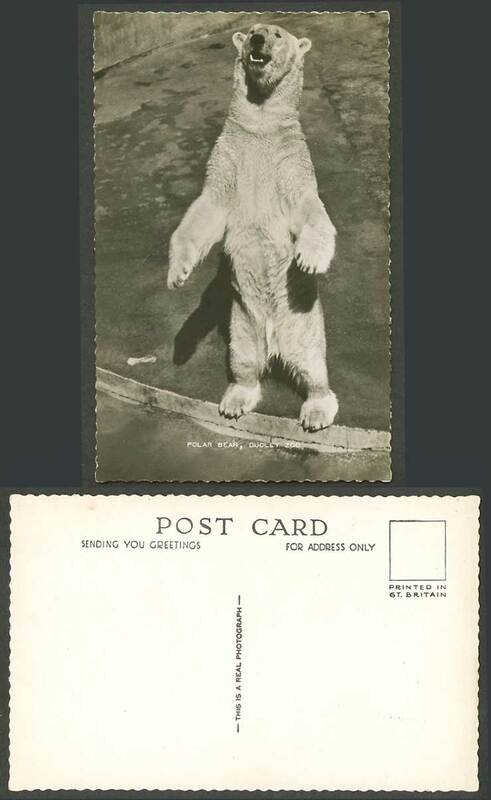 Polar Bear standing, Dudley Zoo, Zoological Gardens.